V-shaped cross aisle allows workers to travel into the picking space as quickly as possible, where they can then branch off and get their items. The design features travel paths along the bottom aisle and up, along the cross aisle, and down, and along the cross aisle and up. FAYETTEVILLE, Ark. - The Internet and shift toward a service economy have led to an intense examination of logistics and supply-chain management: Customers order products online, and they expect to receive their items as soon as possible. Smart companies know that if they want to be competitive, they must change the way they store and distribute goods. In this new environment, warehouses - now referred to as distribution centers - have become more than a place to store extra product; they are an essential part of the supply and distribution chain. Researchers from The University of Arkansas and Auburn University have found a way make distribution centers more efficient. By helping companies retrieve products from warehouse shelves faster, the discovery will contribute significantly to the distribution process, which means customers will receive items quicker. 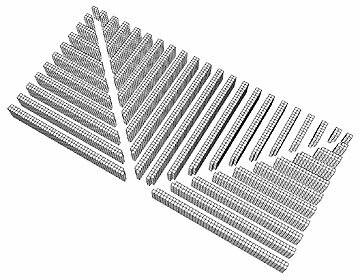 "Our results suggest that for unit-load warehouses, radically new designs could lead to faster retrieval rates and significantly reduced costs for operating distribution centers," said Russell Meller, professor of industrial engineering and director of the Center for Engineering Logistics and Distribution at the University of Arkansas. 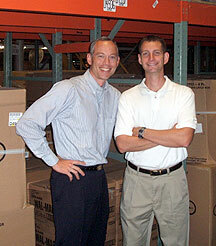 Meller and Kevin Gue, engineering professor at Auburn University, studied configurations of racks within warehouses and found that despite the increasing demand for more efficient and rapid distribution of products, conventional designs of distribution centers have not changed. Even worse, the conventional designs constrain productivity, Meller said. Specifically, he and Gue discovered that two unspoken design assumptions, neither of which is necessary from a construction point of view, limit efficiency and productivity because they require workers to travel longer distances and less-direct routes to retrieve products from racks and deliver them to designated pickup-and-deposit points. "For many years, companies treated warehouses almost exclusively as cost centers," Meller said. "This led to restrictive design rules that focused on storage density to maximize utilization of space. Unfortunately, designing a storage area exclusively to maximize storage density ignores the operational cost of retrieving items from the space." ...that cross aisles are straight and must meet picking aisles only at right angles. ...that picking aisles are straight and are oriented in the same direction. Meller and Gue challenged these assumptions and developed two alternative designs that accept lower overall density of storage space but improve order-picking response times. Note: Links pop to larger detail drawings. Drawings open in a new window. Whereas a traditional warehouse with 21 picking aisles has no cross aisles, the researchers' "Optimal Cross Aisle" model inserts two diagonal cross aisles that originate at the same pickup-and-deposit point. 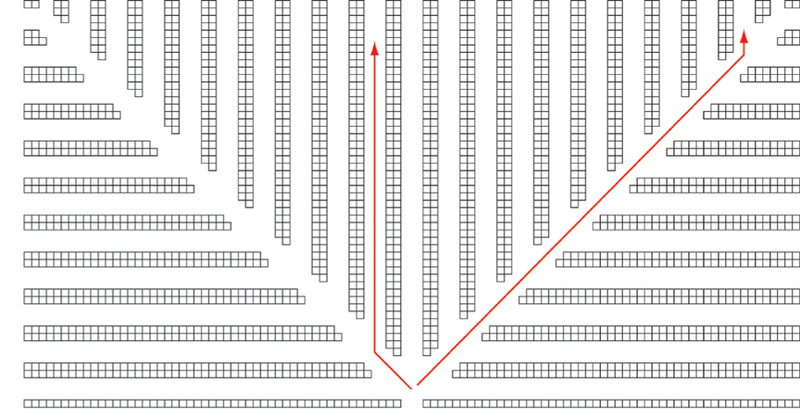 Viewed from above, the two diagonal cross aisles make a "V" in roughly one-half of the total space occupied by picking aisles and rack rows.This simple modification gives workers -- a forklift driver, for example -- a "straight-line advantage" when traveling to and from some of the pick locations. Meller and Gue tested this design and discovered that it reduced picking costs by 11.2 percent when compared to the traditional design. Meller emphasized that the Optimal Cross Aisle model had the same total length and capacity as the traditional design, although the facility with the cross aisle would have to be about 3 percent larger. "The main insight behind this design is that a cross aisle that cuts diagonally across the picking aisles affords an advantage in that it allows pickers to get to many of the picking locations more quickly via a more direct route," said Gue. For their second alternative design, Meller and Gue kept the V-shaped diagonal cross aisles and added vertical picking aisles. Viewed from above, the V-shaped cross aisles extend from the bottom to the top of the entire space allotted to picking aisles and rack rows. 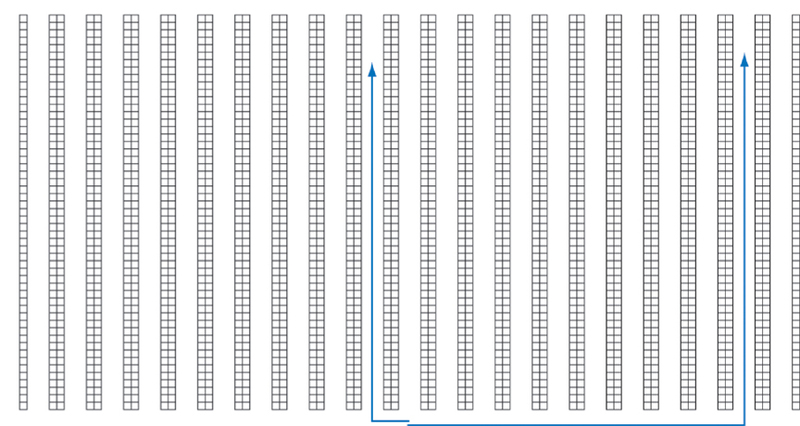 Horizontal rows of picking aisles occupy the two sections outside the diagonal, V-shaped cross rows. With this design, the researchers added vertical lines of picking aisles on the inside the cross rows. The researchers call this model "Fishbone Aisles." 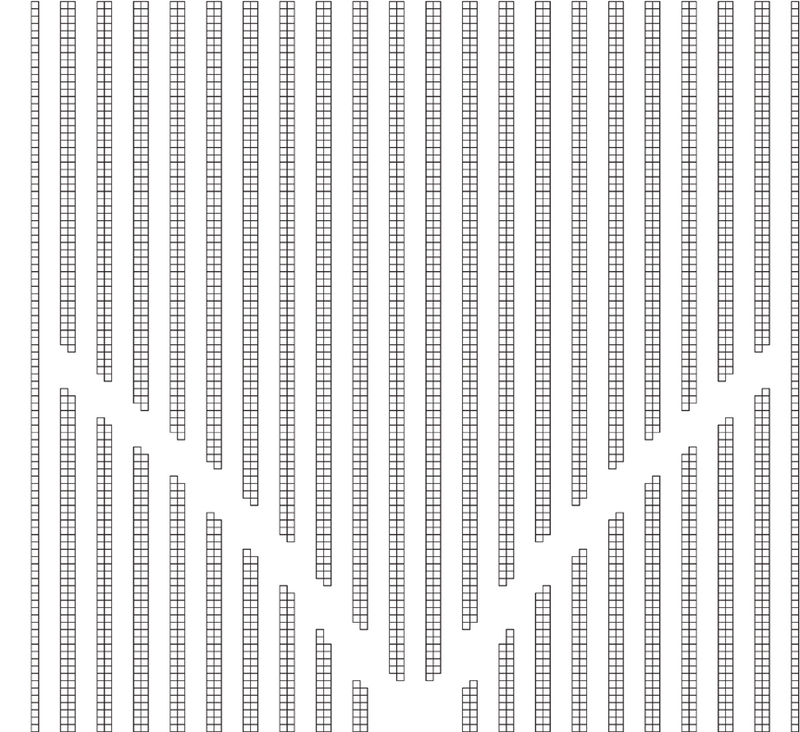 The vertical picking rows combined with the V-shaped, diagonal cross rows led to even more dramatic savings. Meller said tests revealed that the cost to make a pick in the 21-aisle warehouse is 20.4 percent lower than in an equivalent traditional warehouse with the same total length of picking aisles. "Fishbone picking aisles allow pickers to closely approximate direct 'travel-by-flight' to the pickup-and-deposit point," Gue said. To prove this, Meller and Gue computed the expected retrieval time in an imaginary warehouse in which workers could theoretically travel "as the crow flies" to every pallet location. They found that the imaginary warehouse, which is impossible to achieve, would deliver a 23.5 percent reduction in costs when compared to the traditional warehouse design. "We're comfortable saying that although the fishbone design may not be the best possible design, it garners nearly all of the possible improvement," said Meller. The research findings will be published in Progress in Material Handling Research: 2006. The researchers have applied for patents for the design models and are talking to major retailers about implementing the designs in distribution centers. "Our approach recognizes the emerging role of distribution centers in industry," Meller said. "A properly designed distribution center can provide a competitive advantage to firms in retail and industrial distribution." In addition to his position as professor of industrial engineering and director of the Center of Engineering Logistics and Distribution, Meller is holder of the Hefley Professorship of Logistics and Entrepreneurship in the College of Engineering.